The truth is that eating disorders do not know boundaries and you can not tell who is challenged by an eating disorder, simply by looking at them. Eating disorders extend far beyond size, age, gender, ethnicity, and sexuality. Your family, friends, or even you may be dealing with an eating disorder and not know it. This week is National Eating Disorders Awareness Week, founded by the National Eating Disorders Awareness (NEDA) organization. The theme for this year is: “I Had No Idea”, because the focus is on helping people learn the truth about eating disorders. See Body. Love Self. is an official partner with NEDA week, helping to provide education, empowerment, and encouragement for those challenged by eating disorders. As The Body Relationship Coach™, it is imperative to me that I help spread this message, because your relationship with food is an important part of your Body Relationship. 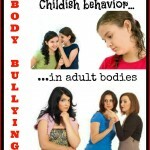 Throughout this week I will be providing enlightening information to you about eating disorders. When you read the information, I invite you to be open to it. You may see some of your own behaviors, or you may see behaviors that describe the people you love. Eating disorders are so wide spread that we all know someone with an eating disorder, so this information will apply to your life in some way. If you have not done so already, be sure to subscribe to the blog and the mailing list, so that you can get all of this powerful information. 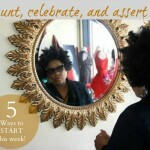 I encourage you to share it with your social network and community too! Let’s shed light on this topic together and help those who need it. 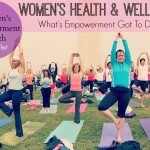 Health & Wellness | What’s Empowerment Got To Do With It? Thank you for reading Anastasia. You are right, knowledge is power when it comes to a lot of things, but it is also freedom, especially when it comes to ED. I am glad that you liked the article.